The Kentucky Derby is a beautiful springtime American tradition (with a hat tip to the English part of our heritage) where we get to see at their fastest the animals that have carried so much of history on their backs: Horses. There is such a thrill to cheering for a horse in real life bluegrass country! 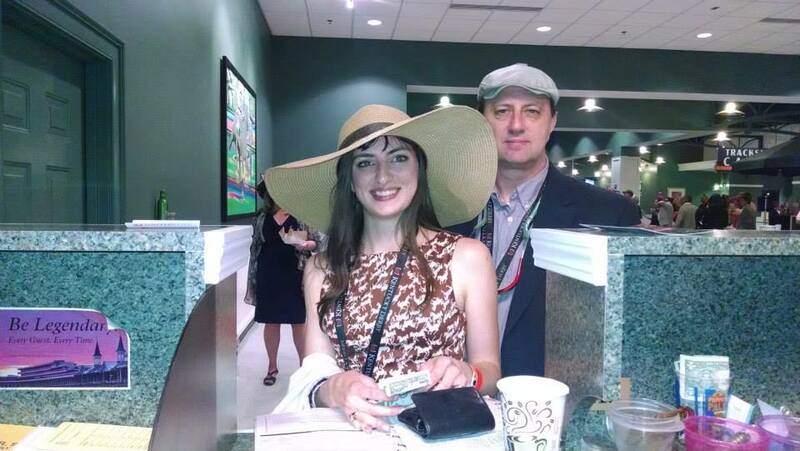 I attended both the Kentucky Oaks (filly race) and Kentucky Derby in 2014, and a woman in the stands told me that at the Derby you see the most beautiful people and the ugliest people at the same time and place. That’s one astute way to describe it! Here are a few observations I made that you can keep in mind while participating in the races. Though this is not an official rule, the trend among hats at the Derby that I have observed is the larger the hat, the plainer it can be, while a hat that is smaller in size makes up for its diminutiveness with more elaborate detail. If you don’t have a hat yet, there is still time to grab some decent millinery at a Louisville gift shop. Some of the hotels have shops where they will customize a hat according to your Derby outfit! Some ladies go all-out for the hat contest. One woman wore a hat with a model of the race track, complete with horses! For the Derby my sisters and mother and I took a sparkly black hat and decorated it with red ribbon tape and faux red flowers. 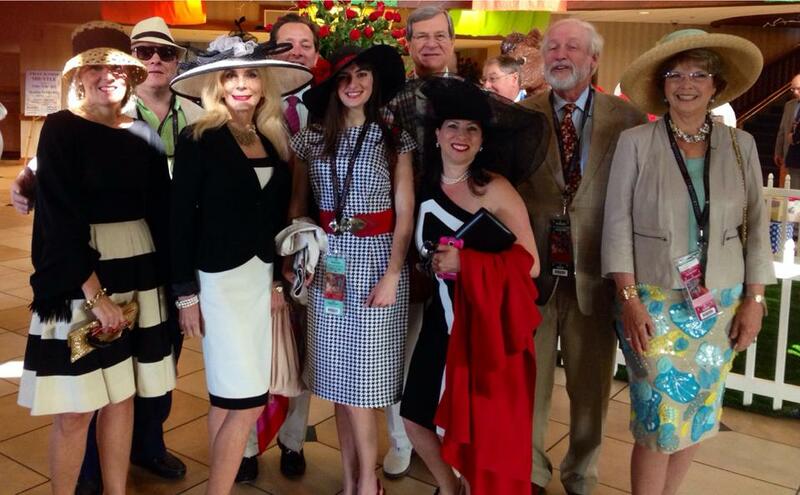 You will see dresses of all hemlines and patterns at Churchill Downs. To my surprise, my Kentucky Oaks dress caught people’s eye had a pattern that I didn’t see on anyone else – little horses! It was the discontinued equine print version of ModCloth’s Luck Be A Lady dress. 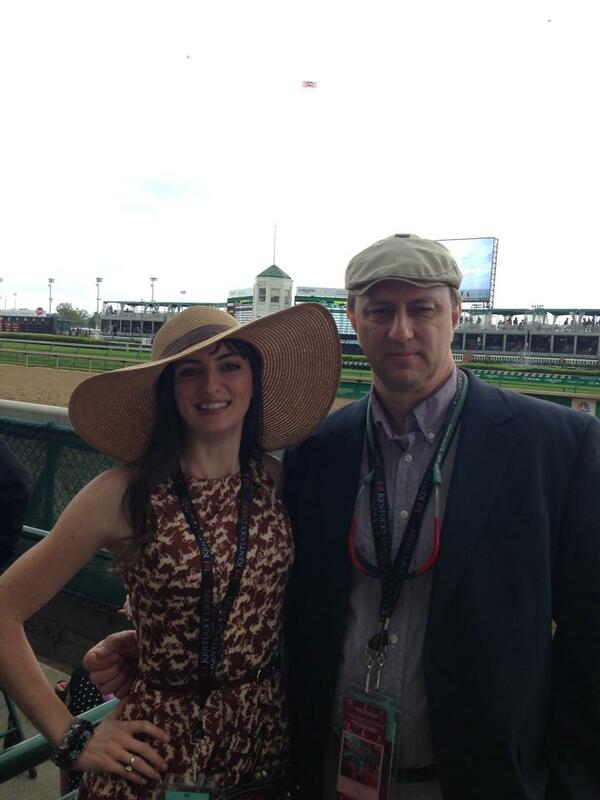 Lady and gent style for Churchill Downs (my father and me). You will find juleps available in glasses with the names of past Derby winners on them. These are great souvenirs to take home! Be forewarned that mint juleps may taste sweeter than you expect. They’re similar to a soft drink. 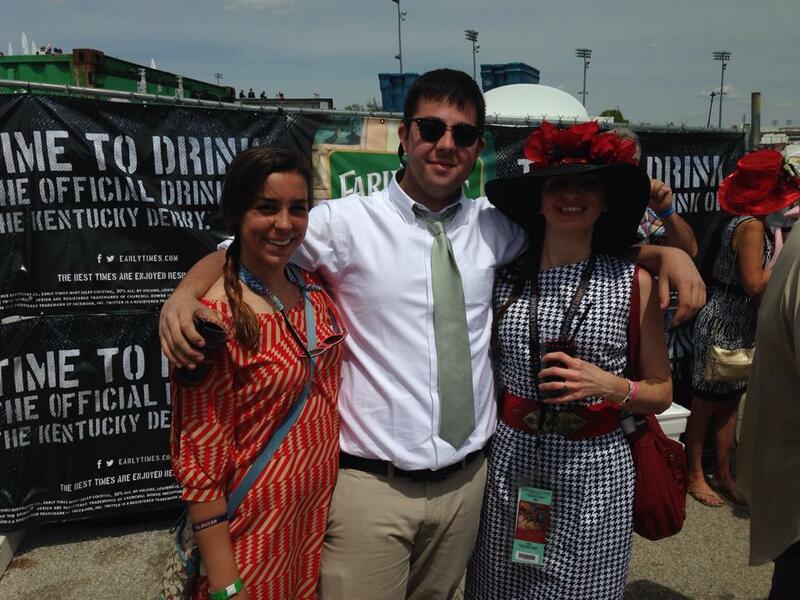 Drinking juleps at the infield. Watch out – the infield doesn’t have the best view and is known for becoming a drunken mess as the day grows older. When it comes to betting, be careful to double check and make sure that you have not confused your favorite horse’s number with their starting gate number. Your best bet is likely Win-Place-Show, meaning that you win something if your chosen horse comes in first, second, or third. There’s nothing more frustrating than betting “Win” on the horse that almost wins but comes in second! Remember that there are a dozen other races taking place besides the Derby on the same day, so there is a lot more talent to keep an eye on than just the famous race for three-year-olds. You never know whom you might encounter at the Derby, even when you are in the pedestrian equivalent of bumper-to-bumper traffic beneath the Twin Spires. I’m certain I locked eyes with Stephen Amell. 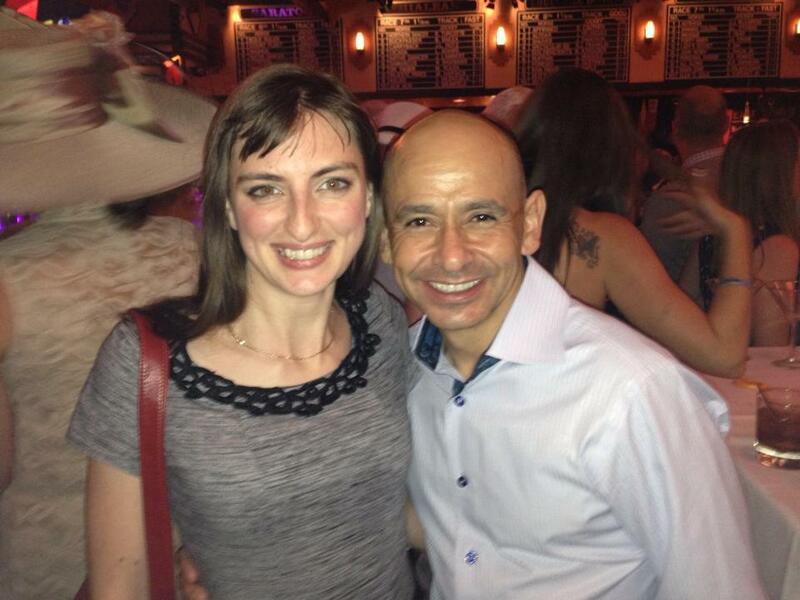 Below is a photograph Claire Novak took of me with Hall of Fame jockey Mike E. Smith at Jeff Ruby’s.